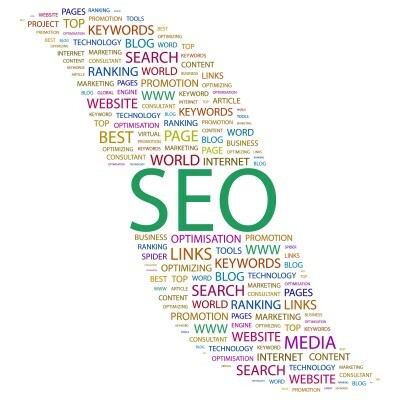 There is much more to an SEO company than a handful of keywords for online marketing. The analysis and research behind proper SEO requires a great deal of expertise that not everyone has readily available. As the online marketing world continues to evolve and change, it is important to consider having the right SEO resource on hand to keep your business in the game. Methods - the way the marketing firm approaches your SEO initiatives is critical. The firm should look carefully at your marketing plan and craft a unique approach based on it. Tools - the tools that are used to implement and maintain SEO can vary greatly depending on the marketing firm's choices. Hubspot is a leading SEO and online marketing tool that has proven to be superior in many ways. Consider using a firm that is well trained in Hubspot for marketing. Baseline - in order to properly measure the effectiveness of your online marketing initiatives, the SEO company should establish a baseline before making any changes. This baseline will measure your current number of visitors, conversion rates, and search engine ranking scores among other metrics. Implementation - at the beginning of your search engine optimization work, the marketing firm should work very closely with you to understand your target audience and set up an SEO strategy based around that audience. Then a series of keywords and phrases should be used in all areas where your target audience will reside including search engines such as Google, your web site, blogs, social media, and other locations. Analysis - as SEO is implemented, your marketing firm should be able to provide you with regular updates on progress and how the SEO is impacting your online business. The analysis should align with your marketing plan. Measurements such as visitor traffic and conversion rates should be tied to your marketing plan goals. Not every SEO company is the same. It is important to partner with a firm that will work well with your business and which will partner with you to meet your overall business goals. For more information, please call us directly or click the button below and we will contact you. Thank you. You think you have done all the right things to promote your firm online. There’s a web site, a Facebook page, and you may even have a blog. But where are all the visitors and new clients? Utilizing search engine optimization, or SEO, is the best way to make your online presence known, useful, and profitable. But there is a lot involved in making SEO work. Building a target client profile is the first step followed by a great deal of research and analytics on what keywords and phrases would work best to achieve your firm’s goals. Then there is ongoing tuning and adjustments to make sure your SEO program keeps bringing new clients to your online door. Cookie cutter or custom? Many SEO companies will try to fit firms into a preconceived template that may or may not work for the particular firm. Other SEO providers may go to excruciating lengths to build detailed custom plans. Instead, look for a firm that can do a combination of both and can present a plan that can be configured to your specific firm’s needs while also using a proven formula for success. Communications? How willing is the SEO provider to listen to your firm's goals and objectives? 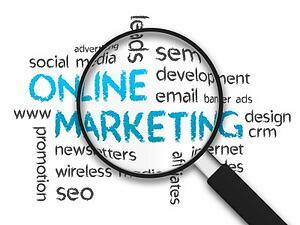 Without knowing how your firm is differentiated, your online marketing strategies may not be very effective. Best practices and benchmarks? Does the SEO company have enough experience and resources to provide guidance on the best practices for your industry? Can the provider present benchmarks on what other similar companies are doing online? Metrics and measurements? What metrics will be used to gauge success for this work? While new clients and increased revenue are important, you may also want to utilize other online metrics such as web site hit rate, conversion rates, and social media activities. 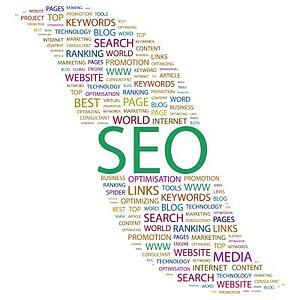 In the end, it is the relationship with the SEO company that will make the most difference. Look for a partner who is willing to take the time to get to know your firm and make the best choices to meet your budget and achieve your goals. All search engine optimization (SEO) companies are not the same. Therefore it is important to take a look at these companies carefully before making a choice for your business. The right SEO company can help your business to flourish online, while the wrong SEO company can leave you with nothing but expenses. Do you have an established method for implementing SEO? Learn the steps that would be taken to get SEO up and running for your company. What businesses have you used this implementation method and how successful was it? Understanding their experience can help you determine if this company is right for you. Are there specific industries where you see more SEO success than others? Some SEO companies focus on certain industries such as medical. What tools do you use to gather preliminary SEO analysis? Hubspot is a well-recognized tool that is highly successful. How often should SEO be tuned for my business? There should be a schedule on the frequency of reviews and reports based on your particular business and budget. What content is reviewed in the SEO implementation? Web site? Blog? Email? Ebooks? Other? Do you utilize pay per click (PPC) as part of your services? An experienced PPC provider can help to jump start your SEO implementation. What is my current search ranking? By knowing what your current ranking is you can establish a goal and measure progress over time. How will success be measured with the SEO implementation? Make sure the metrics used relate directly to your marketing goals. Include lead generation as a metric. When should I see an increase in web traffic with this implementation? Is social media part of your SEO services? This online channel has become extremely important with SEO, but not all businesses understand the implications. How is your pricing structured based on your services that are provided? Some companies offer packages while others have an a la carte offering. Compare their choices to your budget to make sure you can stay within your expense goals. to bring in an SEO partner that can help. Most businesses prefer to engage an SEO company after they have a marketing plan in place, and then allow the partner to refine the online portion of the plan. Business web site – from the moment that your web site is established, you could be impacting your search rankings. While it is perfectly alright to have a basic web site set up it is a good idea to have your SEO company review the content on your web site and tune it to improve your search rankings and lead generation capabilities. Social media – the influence of social media on SEO has grown exponentially, so it is important to implement an SEO strategy that will work in conjunction with your social media marketing plans to make the most out of Facebook, Twitter, LinkedIn and other sites. Blogs – any of your online content, including blogs, should be enriched with SEO keywords and phrases. Emails, articles, Ebooks and other types of online content should fully utilize the power of SEO. 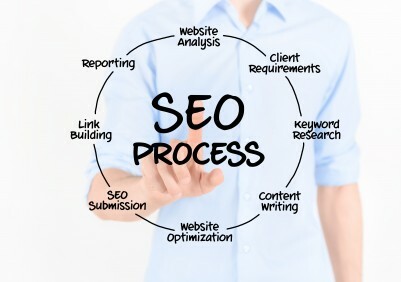 Before beginning any of this work you should already have an SEO plan in place. Often, businesses will contact an SEO company after many of their online marketing initiatives are established. This can result in a lot of re-work that could have been avoided if a partner was helping with SEO at the beginning. In most cases it is best to engage an SEO partner sooner in the project rather than later. So you want to hire an SEO company to solve your online marketing challenges? Before making a commitment to just any company that claims they know SEO, take a step back and consider your options. For many businesses an SEO company should do much more for you than give you some keywords and phrases to use on your web site. You should look for a real SEO marketing company that has the technical skills and business savvy to get you the results you need. Define your results – what do you want out of your SEO initiatives? Do you want higher search engine rankings? Do you want more traffic to your web site? Do you need to improve your conversion rates from visitors to customers? Take a look at where you are today with your online initiatives and determine where you want to be in one month, three months, or a year from now. Have those goals in mind when you speak with potential marketing providers. Determine your toolset – what tools do you use today for SEO? What can an SEO marketing company provide that can improve your results? Some of the best SEO companies will utilize online analytics tools that address multiple online channels such as your web site, social media, blogs and search engine rankings. This combined analysis can yield better results in a shorter period of time, but you need a partner with the technical expertise to implement. Design your plan – every business will have a unique market strategy that is designed around your target audience, your marketing capabilities, and your business goals. Your SEO partner should be able to help in designing an SEO strategy based around industry best practices. Seldon Marketing has the SEO know-how and the business savvy to get results. For more information please call us directly or click the button below and we will contact you. Thank you.